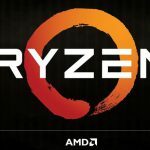 AMD is preparing the Ryzen 3000U mobile hybrid CPUs, in addition to the Ryzen 3000 line for desktop systems. New AMD APUs traditionally come out a bit later than regular desktop APUs . Due to the fact that the new engineering sample of Ryzen 7 3700U low-power APU appeared in the benchmark databases of UserBenchmark and SiSoftware Sandra benchmarks, some characteristics of the future APUs became clear.